It is my intention to describe in a succinct way the main events that have shaken Mexican society in recent years. The motivation behind this lies in striving to comprehend how these people that have throughout generations endured the most severe of hardships, nevertheless tend to rebuild themselves after countless bouts of consistent oppression. As an exile that fled during the accumulation of tumultuous events that led to systemic meltdown, it is emotionally pressing to be referring to a once semi-functional idea of a nation. Whatever the circumstances which led to the elaboration of this account, my only hope remains with the people, and to a lesser extent, with the rulers, that have over-night resulted as accidental caretakers of this novel but confused array of socio-cultural puzzles. 2009 was an awful year for the neo-liberal policy that had been espoused by the centre-right coalition (formed by the PRI and the PAN during the late eighties) for at least three decades. The global financial crisis dealt the ‘coup de grace’ to the bulk of the Mexican standard of living. Unemployment hit alarming heights due to the fall of available credit for business. Industrial production came to a halt as the USA’s economy stagnated for the whole economic year. Moreover, international business confidence fell dramatically as the Mexican state grappled with crippling insecurity mainly derived from the infamous narco wars. Tourism froze as a consequence, and fear prevailed due to the infighting. Foreign exchange remittances dwindled as receptor countries disposed of migrants in an effort to create jobs for local workforces. The military budget was greatly enlarged during the year, but to no avail, as the war against narco-trafickers proved inefficient, and this phenomenon punctured a big hole in the State’s legitimacy. 2010 was the year that the domestic crisis was no longer possible to be referred to a global scenario - thanks to the fact that economic stability was achieved in Asia and Europe - signalling the end of that nefarious psycho-financial event that rocked the foundations of capitalism. It was also the year that Mexico’s State machinery was no longer free to manoeuvre because of the drying up of public money. Tax collection was further diminished in 2010 as a result of the previous year of unproductive economic activity. Nevertheless, the State increased spending, and it did so where it most benefited for the short-term: it boosted the military and favoured big business by subsidizing inefficient companies. It also hurled tax money back to the people as a populist measure in order to fend of criticism. But the worst was yet to come. The PAN’s extreme right wing policies of social control were not only proven unsuccessful, but were mostly uncovered by civil society in its effort to keep a perpetually corrupt and inept government in check. The Swine Flu Epidemic, better known as Influenza, no longer convinced the populace of its veracity, and it was revealed (with the help of foreign media) that its main purpose was to directly influence the capability of social mobilization in case of generalized discontent. This and other cases of increased limitation of civil liberties, encouraged and subsequently made into law by this same government, also came under fire. Furthermore, the State’s ambiguous stance towards illegal drug use infuriated public opinion and civil society. On the one hand, drug distribution schemes were not really halted, because of the tangible need of maintaining a way to keep people entertained, stupefied and out of politics. And on the other hand, it was evident that the Army was really out there to stifle any public display of resentment against the State in times of financial meltdown and pronounced economic crisis. Ultimately, taxes were raised and international loans were furthered in order to save an economy that had hit rock bottom. As a result, popular dissatisfaction with this state of affairs spiralled out of control. The political alliance between the PRI and the PAN was finally broken, as the former espoused the much needed centre-left polices that where once followed by the left leaning PRD, who had by now (they merely kept Mexico City) extinguished to political dust. The PAN was politically isolated and the PRI was prompt in pinpointing it as the sole culprit of this systemic predicament. But none of the governmental manoeuvres conformed to popular expectations, and what was enormously feared by the Elite became a gruelling reality. The popular movements of resistance in the indigenous south gained momentum and in no time extrapolated to neighbouring states. Ideologically led by Chiapas and Oaxaca and then followed by Guerrero and Yucatan, the whole Mexican south was thrown into chaos. Quintana Roo and Campeche had no other choice but to join a revolutionary movement that at least had some relevance to huge tracts of their indigenous peoples. The post-colonial centres of power were thrown into a tailspin and the main cultural centres of economic supremacy were reluctant to give in into a kind of fighting that was thought of as forgotten for the republic. In trying to avoid a bloody confrontation, the central government attempted to concede to some of the main requests of the insurgents. But this was taken by others as an opportunity to make allegations of their own. It was by now evident that centuries of accumulated social and political grievances were under the table and were markedly affecting specific claims. The northeastern city of Monterrey was blunt about the unfairness of an imbalanced tax burden that had been festering for decades. The northwestern cities of Hermosillo and Tijuana complained of a federal bureaucracy that was insensitive to local issues of migration and its relation to the United States, and of favouring the interests of only the three biggest cities in demographic and economic terms. The western city of Guadalajara did not come up with any demands, but remained expectant following a “wait and see” approach to the unfolding events. The human casualties fell between the few hundreds and probably into the thousands, but mostly occurred in the southern region, as not much blood tainted the topography of the central, western, and northern parts of the nation. Probably a few hundred deaths ensued in revolts centred on Veracruz, Durango, and Nayarit. Taking advantage of the inflamed situation in the south, it is said that the aforementioned northern cities of Hermosillo and Monterrey conspired to act simultaneously in a most unexpected of ways. If 2010 marked the centenary of the Mexican Revolution, it also signalled 200 years of independence from Spanish colonial rule. Power struggles between the Executives of these northern states and the Presidency had been brewing for ages. Hence, rumour has it that a decision was made to declare dual independence from central rule embracing a discourse of separatism, event which would signal the end of the Mexican Federation and republic, as it has hitherto been known. According to them, this move meant “devolution” of power, and its justification was clearly shown by the irresponsible management of the country by the Federal District and its accompanying ensemble of bureaucrats. 1- The states of Sonora, Sinaloa, Baja California (North and South), Chihuahua, Nayarit, Zacatecas and Durango formed a new country, with its capital in Hermosillo (which prevailed over Tijuana due to its centrally convenient position). This union was easy to materialize between states that shared a common cultural heritage, the “Ranchero” tradition. But two important hurdles had to be overcome in the process. This referred to the states of Zacatecas and Nayarit, who would have to be literally bribed in order to join the confederation. Hermosillo annexed them in order to function as buffer states, acting as bulwarks between this and the three other remaining nations. This new regional economy was decidedly pro-American, and both Tijuana and Hermosillo would be in charge of supplying the northern neighbour with the cheap labour it would require in the future. Moreover, tourism was greatly developed in the Baja Peninsula and Sinaloa, and cattle exports to Asia were encouraged. 2- The states of Coahuila, Nuevo Leon, Tamaulipas, San Luis Potosi, and half of Veracruz, formed a second “Industrial” merger, with its capital in Monterrey. It was negotiated to split the coastal state of Veracruz in half due to economic and cultural terms. The north was more related to Tamaulipas than to any other southern state. It was nevertheless a laborious task to extricate this land from the D.F.’s sphere of influence, as the latter was in vital need of a port in order to have access to the sea and its trade routes. On the other hand, this sole reason was very influential in San Luis Potosi’s decision to join this alliance, as its industrial goods where in need of overseas export, and the infrastructure of Tamaulipas ports was deemed unsuitable for them. The main economic activities of this semi-desert topographic area would be run by Monterrey, whose industrial policies would take precedence over the rest. Tourism became inexistent, and petroleum conveniently located in the easternmost portion of this new land would be directed towards bolstering economic growth by fuelling industry. 3- The states of Michoacan, Guerrero, Oaxaca, Chiapas, Tlaxcala, Tabasco, Campeche and Quintana Roo formed an “Agricultural” synthesis that came most naturally as a result of the popular revolt, and even though the white portions of Michoacan’s population where mostly against joining this union, they eventually decided to take advantage of a huge tract of land that had an immense potential. Moreover, Morelia was offered the country’s capital for its move closer. The other choice would have been to form part of a bureaucratic and socialist blend of the D.F. and its satellite and subservient landlocked states. As of Yucatan, it really had no other logical choice. The economic activity of this region would be primarily based on agriculture and farming, whose exports (now freed from the termination of NAFTA) would be directed towards Central and South America. 4- The states of Guanajuato, Puebla, Hidalgo, Morelos, Tlaxcala, Aguascalientes, Queretaro, Colima and Estado de Mexico did not really have a say. Their economies and societies where definitely bound to the central Distrito Federal. The appropriation of the southern half of Veracruz came as a relief, as negotiations with Jalisco where by then stalled due to its indecisiveness. So in order to lure Jalisco and its hub of Guadalajara into the constellation, a two-fold strategy was followed. First, it was offered the seat of the legislative power of the nation, leaving both the Executive and Judicial powers in the realm of D.F. The other strategy was more practical. Jalisco needed an Atlantic port for its exports destined to Europe, so Veracruz meant an unbeatable alternative. Jalisco absorbed Colima, and this tiny neighbour disappeared as an independent entity. The economic orientation of this coalition became an eclectic combination of professional, financial and bureaucratic services, all supported by both a semi-intensive agriculture and industry that would be managed by the central bastion of the PRD, same which had been running local affairs for many years. Nevertheless, a power sharing agreement came into place with the PRI, who became responsible of conducting the affairs of the periphery. The outlook of this socialist economy would take advantage of its experienced human capital in the task of forging new alliances throughout the world. 2012 has been a year of world peace and stability but its seeds have yet to be sown in the multi-state region once known as Mexico. The newborn countries known as Ultra Sonoro, Magna Leon, Indoamerica and Multicopolis have yet to sit on the negotiating table in order to formulate some kind of agreement that could establish diplomatic and economic relations between them. In practice this has not been necessary, as every new country is taking advantage of its competitive geographical location. One thing is sure, policymakers as well as the peoples themselves have definitely dismissed conflict as an option. A long time ago the Mayas, an autochthonous civilization from Mexico’s southeast, predicted that the end of the world would come. It is now plain to see that their calculations where misinterpreted. They were plausibly describing the known world to them, and this could have meant their Mesoamerican seat of power. Whatever the case, it seems that Mexico has fulfilled its life cycle, and it has in the process, led the way to a new socio-political organization that has been demarcated along more naturally economic and cultural lines. 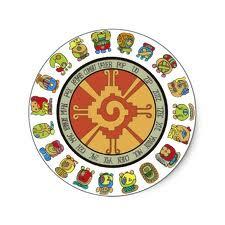 As for me, I am more than bent on returning to the land of the Aztec and the Maya in order to reclaim some kind of citizenship that could substitute my Mexican nationality, one that has by now certainly expired.